Nikon 70-200mm f/4G In Stock! 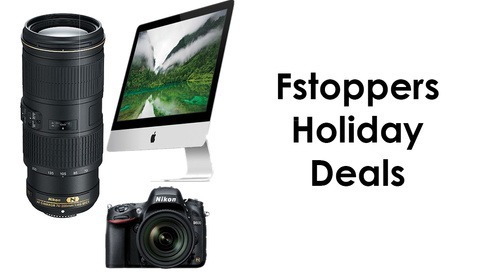 Plus Great Deals on Fuji, Nikon and Mac! A few weeks ago we announced the release of the Nikon 70-200mm f/4, a lens that has been around for years for Canon shooters, but until now unavailable for those of us in the Nikon camp. It's been hard to find but now B&H has it in stock! In addition to this, you can save a whopping $700 dollars off a Nikon D600 bundled with the 24-85mm f/3.5-4.5 bringing the price BELOW $2000. $25 Dollars off Canon 50mm f/1.8! Plus Free Shipping! The Nifty 50 is on my camera about 75 percent of the time. It's a great all purpose lens and while it's not exactly a portrait lens, it's still a very versatile lens. So, I was excited when I found out that Adorama is offering 25 dollars off the Canon EF 50mm f/1.8 and throwing in free shipping on top of it all! This brings the price down to only $99! 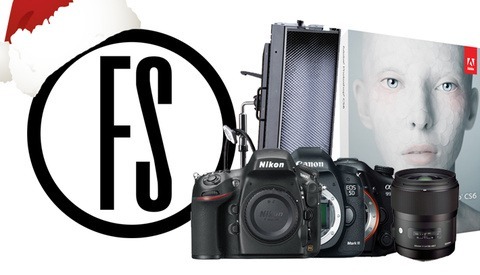 Big Discounts on Sigma Lenses, Sekonik Light Meters and More! Today, B&H has placed the Sigma 50-500mm f/4.5-6.3 and the Sigma 24-70mm f/2.8 on sale for $260 and $207 off respectively through January 15th! Also two of Sekonic's Litemaster Pro Light Meters the L-478DR and the L-478D are on sale for $60 and $70 off through December 17th! Just add the items to your cart and you're set! Red Giant Gives 40% Off All Software! Red Giant, known for its video editing tools such as Plural Eyes, which a lot of Fstoppers writers use for syncing audio and video with ease, is having a sale! They have plenty of other neat bits of software, too. So head over and check them out. Code 2012BSF40 will get you the discount here on their site. If your budget is over $500, you have a heck of a lot of awesome at your disposal. Camera equipment in general is pricey, but when you've got it to spend, you can really nab some nice stuff. We've compiled the absolute cream of the crop gift ideas that will set you back a lot of dough, but will not fail to impress come Christmas morning. 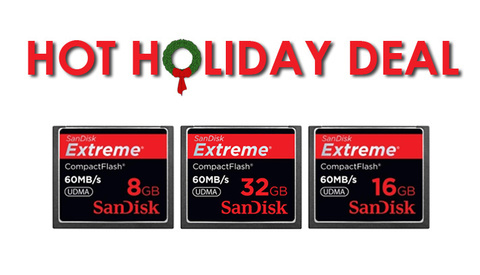 Today on Amazon you can get up to 70% off SanDisk Compact Flash Memory Cards. This is a great deal and would make an awesome stocking stuff for yourself or another photographer. Get them while you can! Over 50% off Sony Cyber-Shot 16mp Camera! Looking for an inexpensive camera for yourself or a friend? Adorama has a great deal on the Sony Cyber-Shot DSC-H90 16.1 MP 16x Optical Camera in Red! It's usually priced at $228 but it's been knocked down to only $99! This is a great pocket camera for every day shooting so if you just want something that's tiny and will go with you wherever you need to it too, this is a great deal. The Canon T4i, which is a good beginner camera as well as a solid second video camera option, is on sale for $600 with a lens and a bag, one of the lowest prices I've seen on this camera yet. Also the Rokinon 85mm f/1.4, Sony memory cards, and a Lumix digital body round out more deals of the day. As if we haven't posted enough amazing Holiday deals on Fstoppers lately, here is yet another awesome deal. 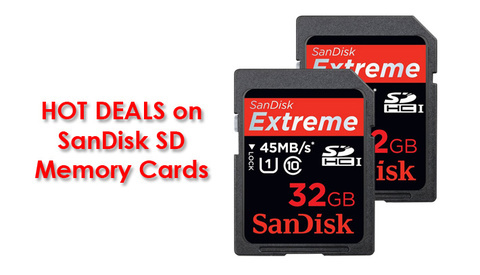 Today, on Amazon SanDisk SD Memory Cards are more than half off. Get them now before this deal is over! Save up to $800 on a Canon Rebel T4i Bundle and Save Big on the Sigma 30mm f/1.4! 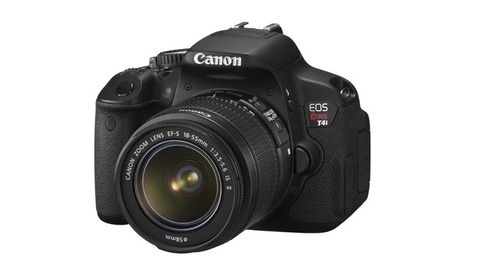 B&H has just released an incredible deal on Canon T4i Packages. If you bundle the T4i Body with the 18-135mm IS and 40mm f/2.8 Pancake lens, you'll save nearly $600 dollars off of the regular price! And for even bigger savings, you can add a Canon 55-250 f/4-5.6 IS II lens, bringing your total savings to a whopping $800 dollars! This deal ends January 5th, 2013 so don't wait around on this one! B&H just updated the price of the Canon 50mm f/1.4 lens, one of our recommended gifts under $500, and has dropped the price to $299 when it's added to your cart. That's a pretty good discount if you're looking to pick up a normal lens for yourself or for someone on your gift list this holiday season. If you're like me, you still haven't decided what the perfect gif tis for the photographer in your life. Well if you've got a little to spend, we have compiled the best gifts between $200 and $500. Speedlights, softboxes, tripods, tablets, lenses, and more, you're bound to find something here that will really impress. 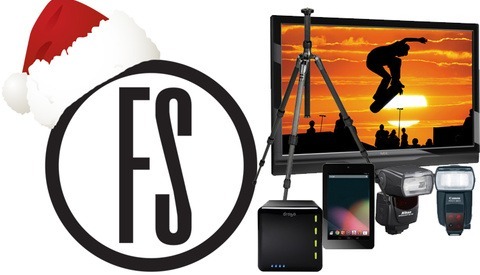 Take a look at this latest deal from B&H that ends at midnight on December 3rd. Westcott Apollo's 43" Orb Speedlight Kit is now on sale for only $99.95! If you want a quick and easy kit for off camera flash, this is definitely a deal you should take advantage of. Holiday Deals: Get 30% Off Animoto Pro Until Friday! From today until Friday, Animoto is offering a whopping 30% off Animoto Pro! That's the biggest sale on this product that we've ever had so don't miss this while it's here! Animoto is an awesome tool for photographers and videographers looking to make impressive looking slideshows and presentation so if you've ever thought about using something like this, there's no better time to do it than right now! This deal will run until the end of day Friday November 30. 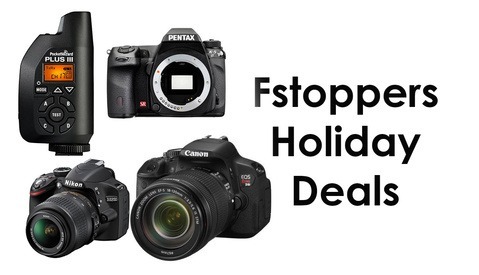 Holiday Deals: Massive Savings on Canon T4i Bundle, Pocket Wizards and More for Cyber Monday! It's Cyber Monday and B&H has some awesome deals that you should be aware of! For starters, the Canon Rebel T4i, bundled with the 18-135mm f/3.5-5.6, which is normally $1,639 is now discounted sharply to only $962! That's almost $700 in savings! Also, Amazon has cut the price of Pocket Wizards and more!